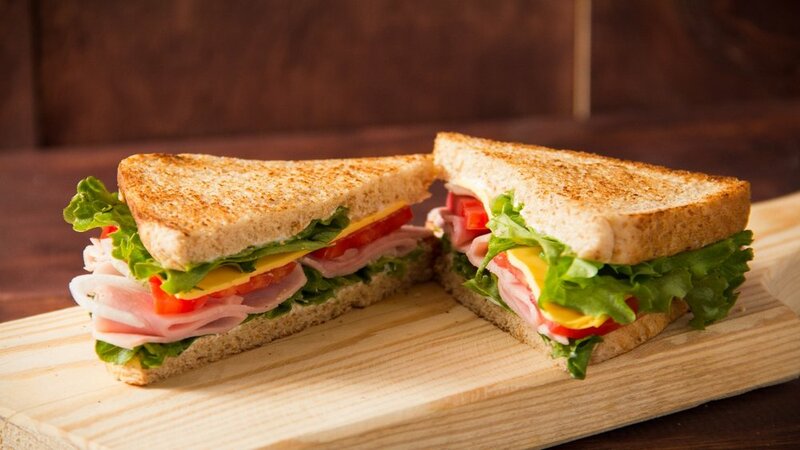 We all know what a sandwich is: two pieces of bread with some kind of filling in between. You need the two pieces of bread and the filling in between to have a sandwich. You cannot have a sandwich without the filling and two pieces of bread alone do not make a sandwich. Mark the evangelist seems to like a sandwich, a literary one that is. Today he has given us a sandwich story. He starts a story about Jairus, a synagogue official who makes a dramatic entrance and request of Jesus for his young daughter. Then suddenly out of nowhere Mark introduces a nameless woman suffering from menstrual type bleeding. We can hear ourselves saying, finish one story first then tell us the next. But no. We hear one story start and this is interrupted with a seemingly unrelated second story and when that is finished, we return to the first story. When we finish the whole story, we find two scenes that seem very different, but maybe underneath it all there is just one thread. There is only one sandwich. But there is something that holds this literary sandwich together. It is simple and most common: death. Death joins Jesus to Jairus, his young daughter, and to the hemorrhaging woman, and death joins the two women to one another. Jairus only approaches Jesus because his daughter is at the point of death. It is a desperate situation for the father. He is begging for life. The woman with the blood flow is already dead on one level and it is threatened with it on another level. The woman is considered unclean because of her blood flow. This uncleanness separates her from her relatives, from any relationships with people and makes it impossible for her to worship in temple or synagogue. She is an outcast and belongs to no one—socially and even religiously she is dead. After 12 years of hemorrhaging she is also physically at the point of death, like the young daughter of Jairus. You can only sustain loss of blood for so long and survive. She has seen many doctors but no cure. She has been losing her life in her blood for 12 years-a long, slow death. But she has within her something that has also been growing. Her life is draining away but her faith has been growing; her courage and perseverance are strong. This life Jesus in his turn recognizes and commends her for: you may think, it is power from me that has cured you, you may want to touch my clothes, but what has saved you, you have been carrying all along, your faith. In your faith you have placed your hand on what has power to heal, you are now made whole. Yes, death is certainly common to both the young girl and the adult woman. But death is not the only filler in the sandwich. We hear and see another part to the sandwich that is holding it together, that is faith. After the adult woman is healed, saved and restored to community life, we hear the news that death has come to the young girl. Jesus ignores the idea that he should change his plans and not bother to respond to her father’s plea. He tells the father not to be afraid and to have faith. The man has lost his daughter but Jesus points him in another direction. He says there is more than death here, more than death in your life. See that, touch it and come with me toward death. And so Jesus goes with the father to stretch out his hands toward the girl. He challenges the crowd’s view of what death is and takes the child by the hand and raises her up. A resurrection? I think so. Mark tells the story thinking so. Now the young girl is restored to her family and the full meaning of her 12th year is opened for her: she is now able to complete her womanhood with marriage and childbearing. Truly a resurrection for this girl. She is able to live her life to the full and her family, by having her back alive, is also restored to life. Both women are daughters. But because of their deaths that identity has been taken away. The adult woman has been treated as one without family, without heritage, without a community of faith. And Jesus has restored her dignity, her place in the community. She has been given more than a cure; she has been given the intimacy of a relationship beyond imagining: “Daughter, faith has saved you–go, healed.” Daughter of Abraham, daughter of Jesus in his new family, daughter to the one Father in whose image she was created from the beginning….The father-daughter relationship is what has gotten our whole story started in the first place. A father about to lose his daughter at age 12, just when she is about to become a woman and enter society as an adult. And now she dies. The father is about to give up hope for his daughter….But Jesus says to the father, death is not the end for you and your daughter. The father held on to his faith and Jesus raises his daughter and gives her back to her parents….the loving relationship is healed and her potential is restored. Yes, what looks like two stories has at least three threads making it one: women, death and faith. But in the middle is Jesus. Jesus is the filling in the center of the story. Jesus is offering his risen life to the women of the community; offering them a wholeness of body and spirit and heart—in biblical terms saving them. Jesus is the one who transforms death and turns it into a moment of new life and hope.